Over the years the concept of brand has morphed into a marketing buzzword that connotes everything from product packaging to posters to a logo and tagline. A brand is more than visual identity, and it’s crucial to understand your brand before you start talking to the masses. This is particularly important in the case of social media. Social media is often the main representation of your brand. It’s where people look to understand what you offer and what you stand for. If your voice on social media doesn’t match what people expect from your company, it creates a dissonance that can be off-putting for your customers. Narrowing down your brand identity can be intimidating for anyone. What you have to remember is that every person is already a branding expert. As consumers, we develop perceptions of brands that we are exposed to from a young age, a process that only continues as we grow up and consume more. This experience is valuable when analyzing your brand from within your own business. There are a few tools and tricks that can be used to narrow down the truth of your brand. Once you truly know who you are, developing great social media content is within your reach. There is a lot of conflicting advice out there about the rules of social media, but one concept remains true: social media content should be a reflection of what you value. As an individual or an organization, the most important thing when interacting on social media is to be authentic. The second is to be engaging. As a content creator, the goal is to start a discourse where the topic is relevant to your brand and intriguing your audience. Before you start Tweeting and Instagramming, you need to determine what is authentic to your organization and how you can engage your audience through your brand. When you think about your organization what’s the first thing that comes to your mind? What’s the first thing that comes to your customer’s mind? Think about your organizational values or company mission statement. Does it hold true? Once you have started to hone in on your organizational identity then comes the task of translating a brand into social content. “Authentic” is another buzzword, but authentic content is what a social media marketer’s dreams are made of. These are the posts that capture the attention of your audience, convey a message about your organization and accurately reflect your brand. Perhaps most importantly, authentic content opens a discussion between a business and their desired audience. This discourse is a vital component to organizational relevance and developing those key customer relationships. So what kind of voice is authentic to your brand? There is no exact science to this; your brand voice might be playful, fun & exciting, or it might take a toned down, corporate approach. The most important factor is that it’s a reflection of your ideal brand persona, and that is consistent with the customer experience, whether they visit a retail store, purchase a product or invest in a service. It’s not uncommon for organizations to give back to the communities in which they operate, but few Canadian brands have nailed the holiday giveaway quite like WestJet. This year the company tugged on our heartstrings by visiting Fort McMurray and sharing it on social media. With over 1 million views this video truly resonated with Canadians. Because of their history of giving back, this moment felt like it came from the heart. 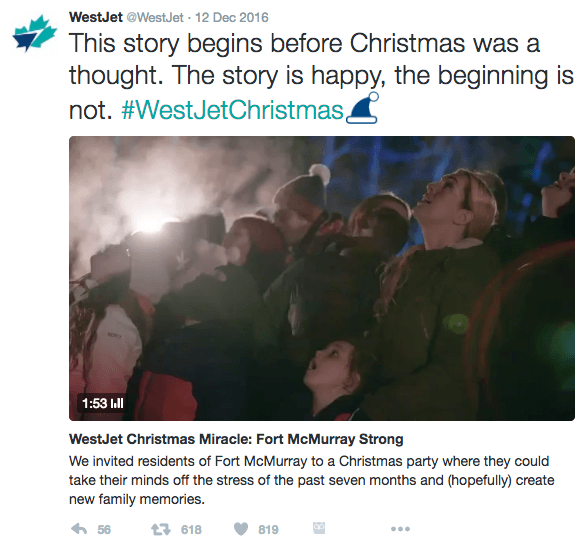 WestJet’s social media brand feels authentic. Whether you’re talking about your morning latte, the spot on the couch that you’ve unofficially claimed or creating social media content, consistency is key. You don’t want every single post to be the same, but you do want the organization to shine through in each post. 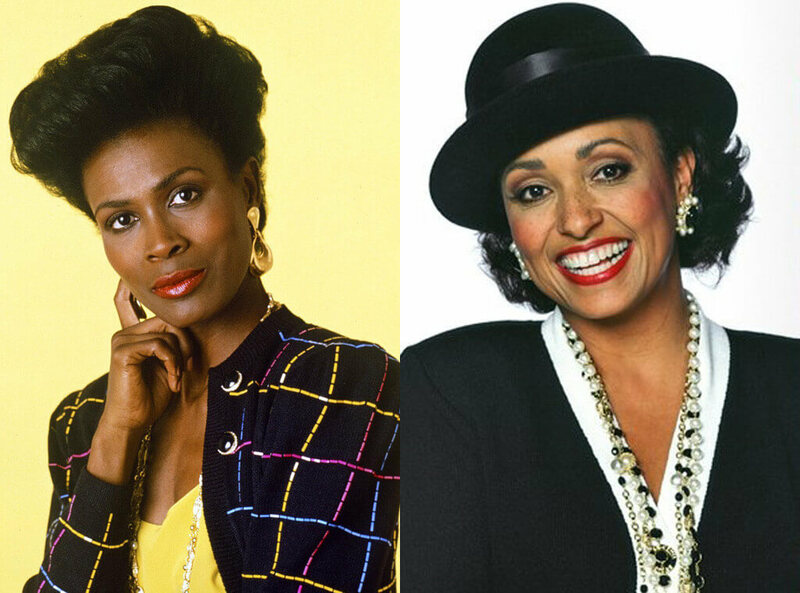 Remember Vivian Banks from The Fresh Prince of Bel-Air? Having fragmented voices representing one brand on social media is like changing your lead actress halfway through a series. Consistency on social media is much more attainable once you’ve identified your brand and your audience. When you have a unified voice, you can take almost any content idea and tailor it to your brand. Old Spice is a company that is just as recognizable for their social content as they are for their “man freshening” products. Over the years the company has developed a fun, zany and over the top voice that works for their brand and their younger target audience. Their completely hyped-up and over the top video style fits perfectly with the brand identity, and they stick to it with all their social content. Not every organization can work with this tone, but every brand can develop a unique voice. One of the most important tools to maintain a loyal social media following is the quality of the content that comes from your brand. Don’t fear: quality content is not necessarily contingent on a significant investment. A high-quality video like the one in the Old Spice example is quite an undertaking, but for the brands that are not aspiring to produce the next viral video, the biggest investment will be your time. Creating interesting, dynamic and creative content is the goal, but it can be difficult in execution. First, remember that the type of content, the tone, and the attitude of your audience can vary dramatically for each platform, and content must be created with this in mind. Crowdsourcing from within an organization can help with coming up with solid, diverse content. New ideas and a fresh perspective could be the key to breathing life into the voice that your brand is communicating. Ask your coworkers for input! They may have hidden skills, like design, photography, or creative writing that can push your content over the top. There has been a lot of talk about how many cities in Alberta are #blessed to have mayors that represent their young, dynamic and innovative population. 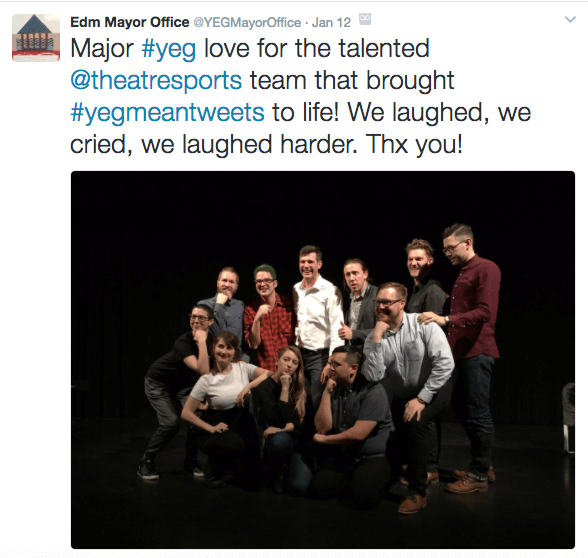 At the top of the list of awesome representation, we have Edmonton’s very own Mayor Don Iveson, and it has been suggested that his use of social media is a significant factor to the love he gets. The official Office of the Mayor (@YEGMayorOffice) and Don Iveson personally (@doniveson) are both very active on Twitter, as well as Instagram, Facebook, and Snapchat. They actively respond to Edmontonians’ questions and concerns and keep the public informed. Whether it’s a gorgeous picture of the fireworks on New Year’s Eve or a selfie to update his followers about the initiative he is speaking about, the Mayor wins for timely, topical, hilarious and quality social media content. What other mayor reads #YEGMeanTweets for charity? Once you understand your brand and your voice, you’ll be able to confidently create social media content that your audience can connect with, and that you know represents your company well. A couple last words of advice: Unless your brand is politics, keep the political commentary to a minimum, and always stay positive. No one likes to listen to a complainer on social media, ESPECIALLY if that complainer wants you to give them money.